Some 10.5-inch and 12.9-inch iPad Pro units, launched back in 2017, are apparently suffering from a display problem that is causing a faint white spot to appear above the home button. The first reports about the issue popped up online in April this year, with more appearing over the year, claims a recent report. While some of the affected consumers were able to get their iPad Pro replaced, many of these iPad Pro units are out of the one-year warranty offered by the Cupertino-based company. Such customers are being asked to shell out a display replacement fee by Apple. According to a report in MacRumors, the faint white spot appearing on the iPad Pro units is brighter than the rest of the screen and can be found about 1-2-inches above the home button. It seems to be a problem related with the backlighting, but the exact cause is unclear at this point. Most of the user reports note the display issue appeared months into their usage of the device and was not present right out of the box. “I have a bright spot about 1-2 inches above the home button on my iPad Pro 10.5 inch Wi-Fi model. 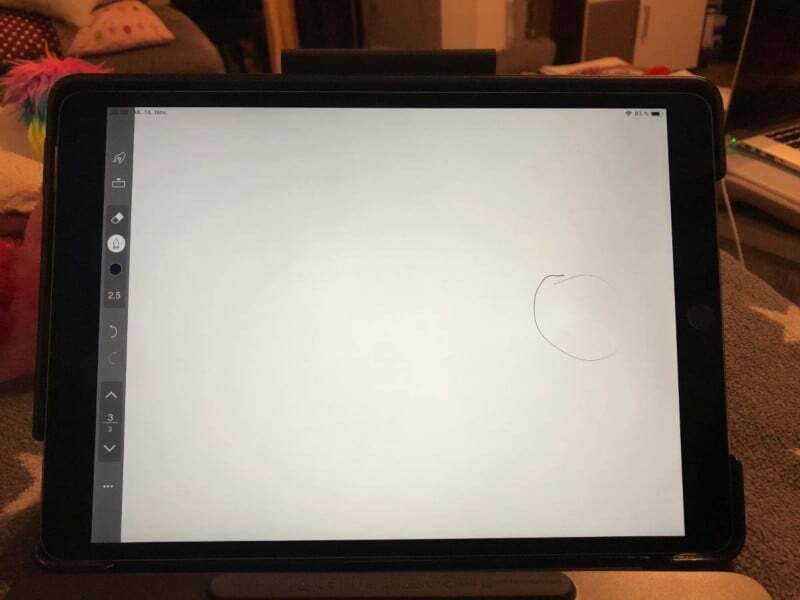 i just noticed the white spot last week when I was looking at some white background content, the spot does not appear on darker colours like black, grey, blue -most prominent on white,” an iPad Pro owner wrote on Apple Communities. “I have the same problem and unfortunately it happened two months after the warranty had ended. Disappointing!,” another user added. MacRumors claims to have confirmed the problem on their own 10.5-inch unit of the 2017 iPad Pro and it is in line with what the customers are reporting in Apple Communities and other forums. Even though these reports have been appearing online for months now, the exact extent to which display issue is present on the iPad Pro units is a mystery at this point. It is also not known whether the same problem is present on the 2018 variants of the slate, but then the 2018 variants are fairly new and the issue only presents itself after months of usage.